Advice Emi – don’t eat orange snow. Ok you win. 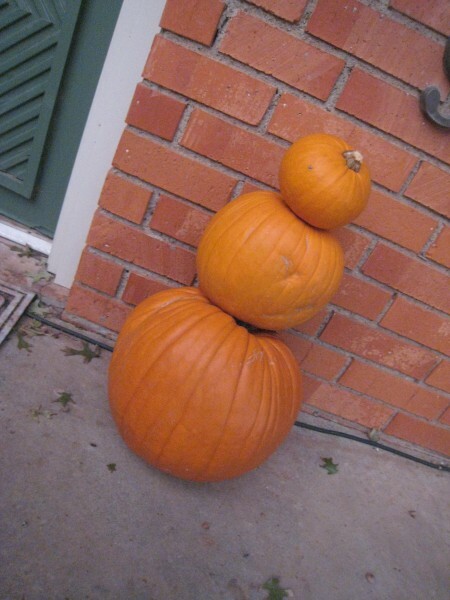 Pumpins shaped like snowmans!! Very cool pic. I think he needs a corncob pipe and a button nose. Oh, and two eyes made out of coal. I LOVE it! I need you to come build me one!